But 1,000 years later, horses became extinct, both in North and South America. Only Equus, the ancestor of today’s horses, survived in Eurasia and Africa. 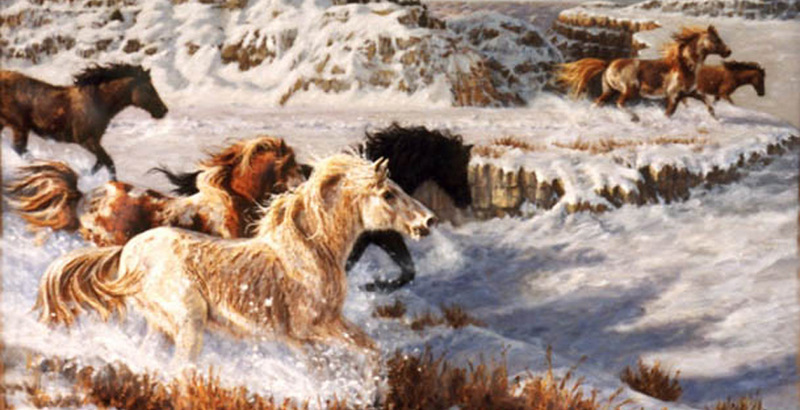 It’s believed hunting by humans, along with changes to the environment, may have caused the horses to become extinct. The wild horse (Equus ferus) is a species of the genus Equus, which includes as subspecies the modern domesticated horse (Equus ferus caballus) as well as the undomesticated tarpan (Equus ferus ferus, now extinct), and the endangered Przewalski's horse (Equus ferus przewalskii).